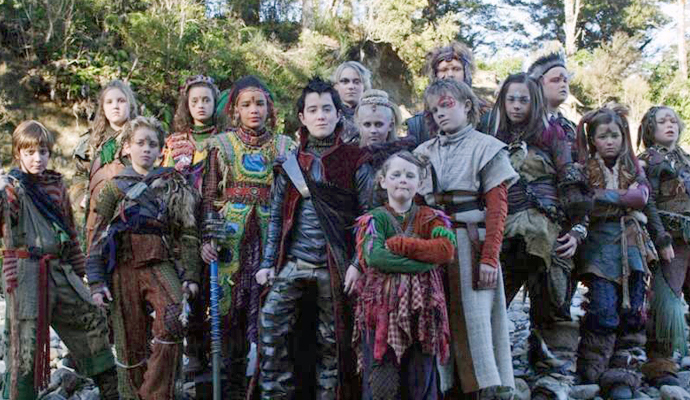 THE NEW TOMORROW is a sequel to Cloud 9’s iconic The Tribe television series, which has gone on to become a cult international success. 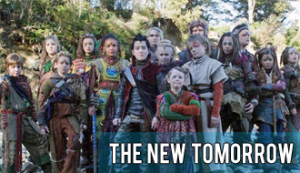 First shown on Seven Network in Australia and Channel Five in the UK, THE NEW TOMORROW (like The Tribe) is set in a world without adults but it is aimed at a much younger audience than the teenage demographic of its predecessor. The series follows the adventures of children, aged 7 to 12, who have banded together in ‘Tribes’ – predominantly the Ants, Barbs, Wasps, Discards and Privileged. Living together brings comfort, safety, companionship – but also many challenges, least of all a growing competition and rivalry between the tribes in the region. The world the protagonists live in is full of mystery – ranging from the disappearance of the adults to the connections with The Tribe mythology (Zoot, the Mall Rats) – and especially the ominous automated machines that appear from time to time, as if on patrol. What secrets lurk in the forest? What are the machines looking for? It’s a new dawn for the children of this story – step into their world, share in their dreams and challenges – and discover all that may be in THE NEW TOMORROW.